When I released the AAduino (original post here) last year I did not really expect the coverage it rendered. Even my WordPress server was surprised as referrals from Hacker News and others brought it to its knees. Building on the ATMega 328 was a natural choice at the time but I really wanted to move to 32 bit ARM micros. 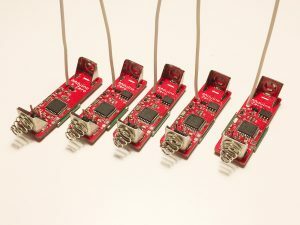 One of the reasons is the great debug support available using the impressive Black Magic Probe or cheap ST-Link clones. Gone are the days of my youth when an ARM JTAG debugger would set you back €2000. 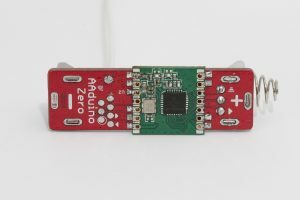 So here we are today, the AAduino has evolved into the AAduino Zero that will start crowd sourcing over at Crowd Supply soon. Sign up today and get notified when the campaign kicks off! I have previously written “soonish” about the start of the campaign but now I can say “soon” with confidence 😉 I have a few hand built prototypes that are working as expected and will go into production with no design changes. I have a quotation from Seeed Studio and the campaign will launch as soon as the final details have been decided upon (pricing being one of them). 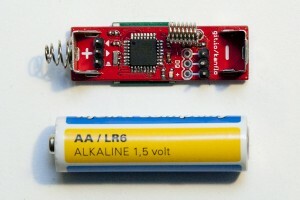 The form factor is identical to the original AAduino, as is the RFM69CW companion, but the rest has changed. 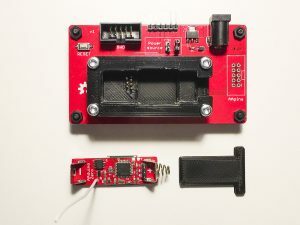 The micro is now an STM32L052, the temperature sensor is a TMP102, there is polarity protection and also a serial flash which will enable wireless firmware upgrades or data logging applications. A 32kHz oscillator drives the real time clock of the STM32 and for extendability there is a 1 pin IO port (yes, one pin only). 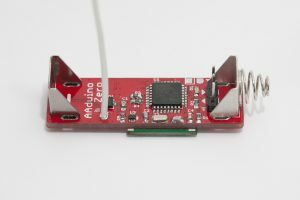 The UART (for flashing and debug output) sits on a convenient 0.1” header as on the original AAduino and there are test points for power, SWD and UART. 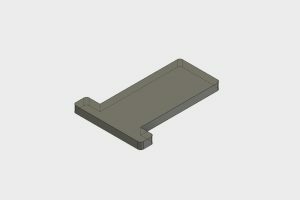 Now that the hardware design is frozen I am working on the software including some demos. The AAduino Zero is currently programmed in C using the lovely libopencm3 project. I am planning on adding Arduino IDE support as not everyone are comfortable with installing toolchains, running makefiles and so on. 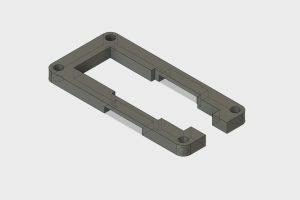 The “holder” is placed on top of the “jig” and both are fastened to the PCB using M3 bolts. 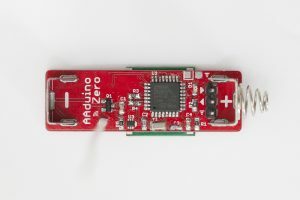 The AAduino Zero goes into the holder and is locked in place with the small “key”. 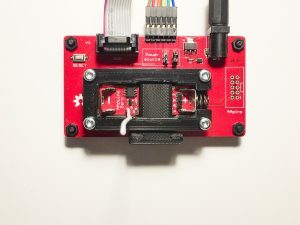 Pogo pins connect the device to the SWD and FTDI ports on the back and provide power from the DC jack. 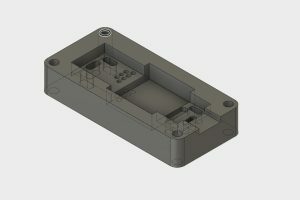 The unpopulated “AApins” connector is meant for a small hand held pogo pin programming adapter currently in production. 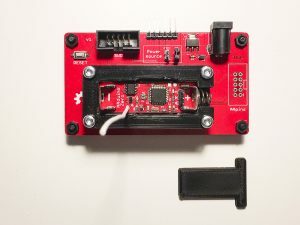 It has not been decided if the jig will be included in the campaign but as mentioned previously, it is not required for working with the AAduino Zero. As always, very much so. Both hardware and software will be published on on GitHub, with one small caveat. The Eagle design files will only be published once the campaign is over and the AAduino Zeros start reaching the backers.